Found via Digg, these illustrative arm slings show onlookers exactly how you broke that arm, so you can save precious seconds from not having to repeat that boring story. 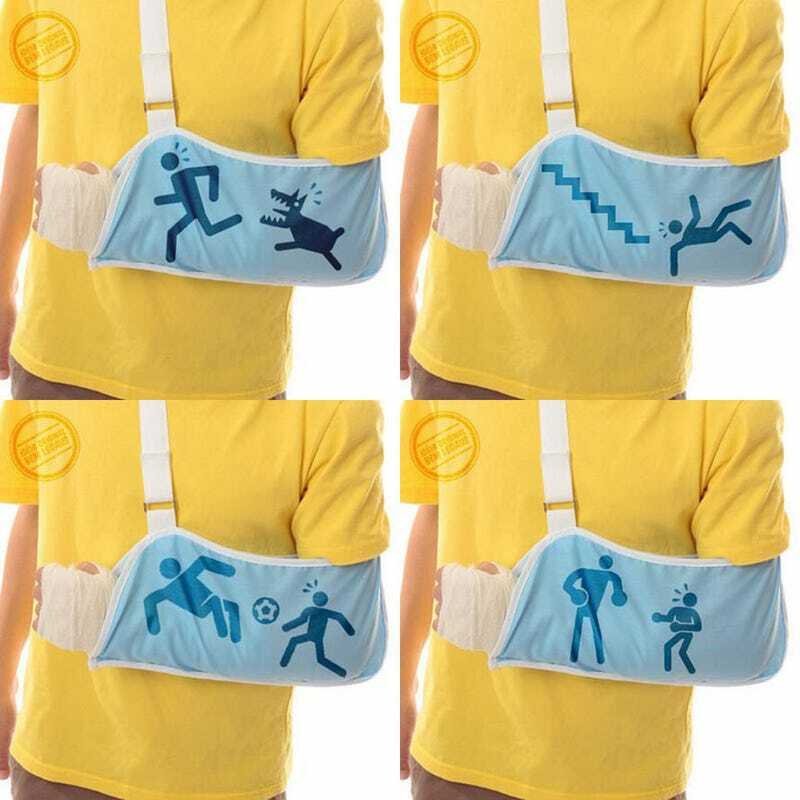 Of course, your coworkers seeing this will then ask about where you got the sling design, how exactly you fell down the stairs when you live on the first floor of a one story house, and why you're such a big liar. A quick search turned up nothing on where these originated, so if anyone knows, post it in the comments!